"It is strategically important that Ukraine retains the status of a transit country." 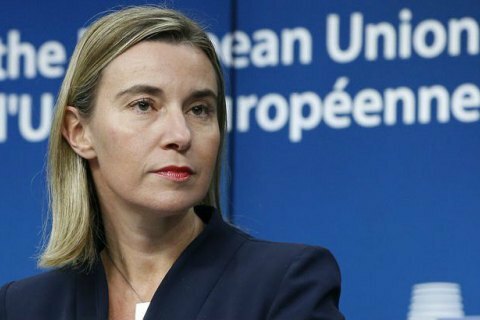 The European Union continues to believe that it is strategically important to maintain the role of Ukraine as a gas transit country, the head of European diplomacy Federica Mogherini said as quoted by Interfax-Ukraine. "The EU Council has clearly stated earlier that it considers strategically important for Ukraine to retain the status of a [gas] transit country,", she said at a press conference in Brussels, answering a question about the future of the North Stream-2 project. Freezing Nord Stream-2 can become a part of a new package of EU sanctions against Russia. Earlier, the leaders of the Visegrad Four spoke against the North Stream-2. Nord Stream-2 is meant to expand the capacity of Nord Stream. The company Nord Stream 2 AG, which is engaged in the planning of construction, by 100 % belongs to Russia's Gazprom through its branch in the Netherlands. Its COB, former German Chancellor Gerhard Schroeder, is long-known for his benevolence to Russia.